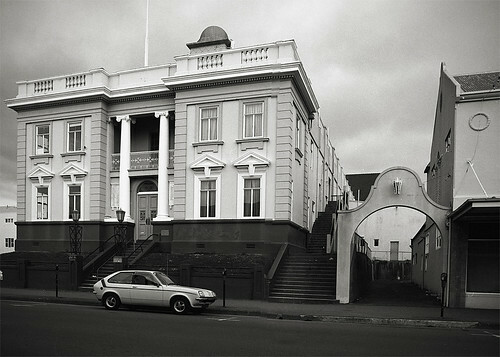 Prior to the 1987 demolition of the Tauranga Town Hall, which opened in 1916, the building was occupied by Ngai Tamarawaho in order to protest land confiscation by the Crown during the 19th Century. Copyright © Nigel Watts. All rights reserved. Please note none of my photos are public domain or a free stock image. Images are not to be downloaded, used, copied, duplicated, reproduced, or blogged etc in any medium, physical or electronic, without my express permission. Use without written consent by the author (Nigel Watts) will constitute an infringement of copyright and is illegal and punishable by law.